We are a fast-growing online retailer of home, garden and outdoor machinery products. Our products range from lawn mowers and chainsaws to wood chippers and log splitters! Established for over 10 years, we are one of Australia's leading and fastest-growing e-commerce companies. Our success has seen us featured in BRW fast-starters, Sydney Morning Herald, A Current Affair and Sunrise. We’re the Aussie underdogs taking on the big retailers. Since 2006, our Sydney based company has helped over 1 million Aussies save hundreds of dollars on garden machinery tools by cutting out the expensive middlemen and going directly to the manufacturer. We have shipped over 2 million products across Australia, currently employ over 150 staff and operate a massive logistics network with warehousing covering more than 20,000 square metres. You could say that we’re a bigger, stronger and faster version of ourselves. 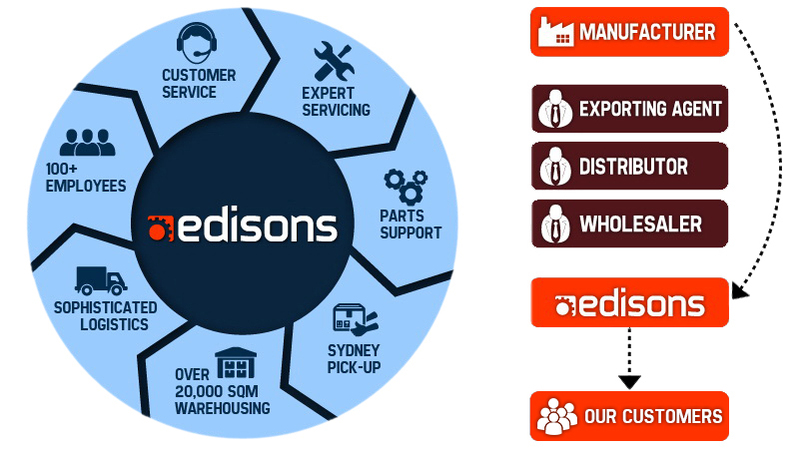 At Edisons, we focus our efforts on ensuring we save customers hundreds and even thousands of dollars on products which have traditionally costed Aussies far too much. Some of our key product ranges include chainsaws, lawn mowers, pressure cleaners and washers, generators, wood chippers and more. We’re known as the ‘Kings of Chainsaws’, because we’ve sold over 100,000 chainsaws since our company was founded in 2006 - a sizeable number for such a young and agile business. 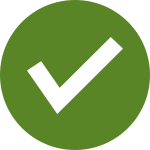 We ship our products fast throughout Australia and strive to create the best customer experience starting from our website experience all the way through to when the product arrives at your door. Many of our popular chainsaws, lawn mowers and generators are offered with free shipping to make your experience even more enjoyable. We didn’t just start selling chainsaws or lawn mowers yesterday. We have a highly experienced engineering and technical team who specialise in researching and developing all our products. We benchmark our products against high standards and that’s why our customers keep coming back. Even better, we offer a huge range of spare parts and service support after you purchase your product. We provide Sydney based customer service and technical support, with expert technicians on location to attend to any product issues that may arise. So when you shop online with Edisons you can buy with peace of mind. So whether you’re in the market for a chainsaw, lawn mower, wood chipper, log splitter, or anything in between, rest assured that Edisons not only has the right product for you, but will save you hundreds compared to other over-priced brands. With Edisons, you buy smart and save.